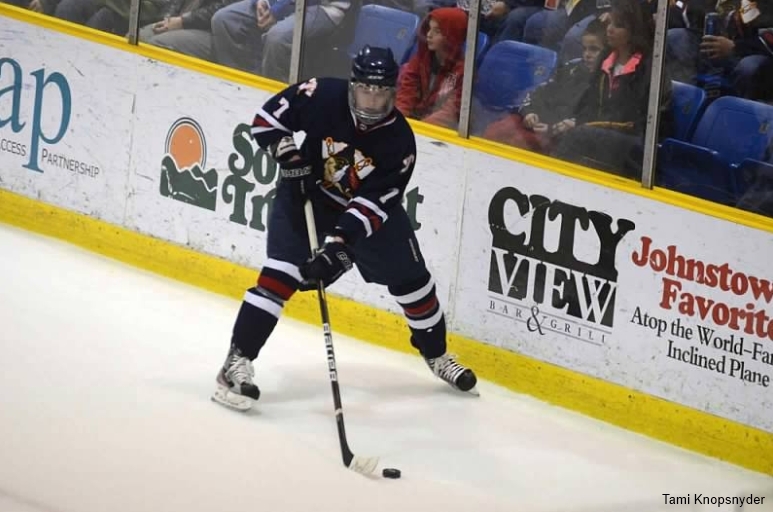 Johnstown Tomahawks Fan Blog- TheTomablog: Pros in the Making? It's a fact that some of the players we are watching right now playing in the NAHL will go on and play professional hockey. Some will only play single A, but there is a chance some will make it the whole way to the NHL. Since this is the first year for the Johnstown Tomahawks, we're going to focus most of our attention on the previous teams that would later become the franchise we know as the Tomahawks. At the end though, will take a look at who we think may possibly find themselves in the pro game one day. First, let's get to know the teams before the Tomahawks. 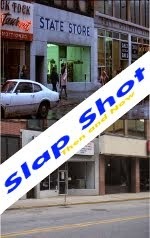 In total, there has been four other teams, that moved from city to city before they found a home in Johnstown, starting the whole way back in 1991. Okay, no this wasn't their logo. 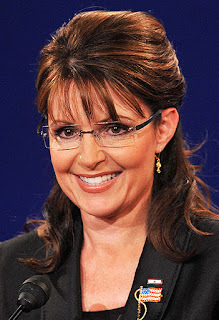 It was the same as Springfield's but when I hear Wasilla I think of Palin. Interesting Note: Johnstown only in their first season has more OTL's then Wasilla, are only three away from St Louis, and eight away from Springfield, and this is our first season. We won't look at the roster of the Michigan/Dearborn team since those rosters and stats are not available online. So let's jump ahead a little bit. Below are the names of the players that have, or still play pro, the last pro team or current pro team they play for, and in what league. Note that of the 39 players, 2 currently play in the NHL, and 1 spent some time in the NHL. Make sure you look at the chart closely as there is two players on the list with Johnstown Chiefs connections. Also the first four players on the list also played for the St Louis Sting. The most recent team before moving to Johnstown was the Alaska Avalanche. They played a total of six seaons in Palmer AK. A toal of 172 players suited up with the Avalanche, and 6 have gone on to play in the pros. Since the Avalanche played from 2006 to 2012, a lot of their players are still playing at the college level. This will have to be a post that we'll update later as the years go by, for now though, here are those six players. Out of those three guys I'd say all three have a great chance on playing in the pros, if that's what they choose to do. Nelson is such a smooth skater, with a great shot from the blue line, and you've got to think four years of college will only improve upon the skills he has. I think he could easily break an ECHL team's line up. Truehl does have a winning record though and a save percentage above .900. Basicly a save percentage is a very good indicator on how good of a goalie a goalie is. A goalie could have a record of 5-10-2, but a safe percentage of .914. What does that say? The team he plays for probably isn't that good, but he gets the job done. Could Truehl play pro? I think he needs to get a little bigger in net, but he has good movement, a good glove, and is the type of goalie that can steal you a game. It'll be interesting to see how he does in college. 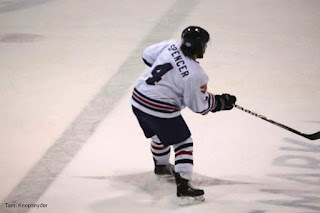 Spencer isn't the fastest player and for a D-man he's on the smaller size, but in the game of hockey size isn't everything. If he can improve his speed and use his body more in college he might devleop into a minor league pro player. Only time will tell. Other players currently on the Tomahawks that may have a chance of playing in the pros, Cody Gylling, and Mitch Kontny are obvious for their scoring prowess. Cody Boyd has good size, uses the body well, and for being a big forward, he's a great skater. I personally think if he can improve his puck handeling and his shot, he'd be another guy that could make a living in the pros. 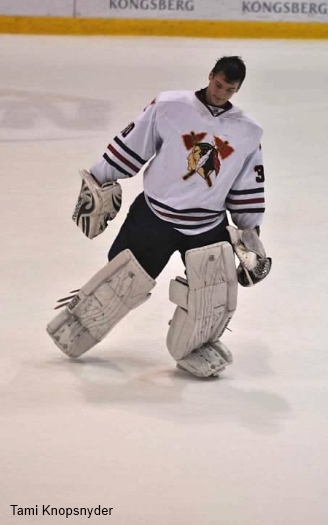 A player that I hope returns to the Tomahawks next season, is Jaycob McCombs. I think there's potential in his game to turn into a Gylling type of scorer, with a little more physical upside. Hopefully he can get healthy soon, because Johnstown could really use him. Remember these are only my opinions , I am not a scout, even though if the Tomahawks offered it to me, I'd take it in a heartbeat. Who do you think has the best shot to go pro on the Johnstown Tomahawks 2012-2013 roster. Tell us below in the comment section.